Here at The Wedding Gallery, our range of wedding dresses is carefully and lovingly selected throughout the year to make sure that we have the perfect mix of styles and shapes to suit every bride. Whether it’s a pretty princess prom, a glamorous fishtail or a relaxed vintage look your heart desires, we will have the perfect option for you in our boutique. Our current bridal stockists include Enzoani, Mon Cheri, Art Couture, Nicole Spose and Wendy Makin. For our bridesmaids range we work exclusively with the Dessy Group and are proud to offer a large range of styles to try on in store. Menswear is available to hire either in store or online through Cameron Ross. 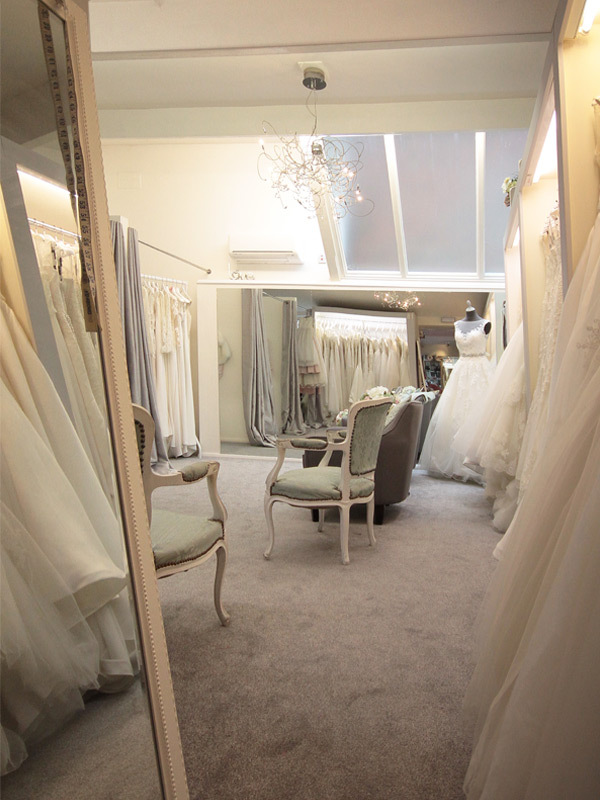 During your one on one appointment with us you will have our full attention, creating a relaxed and comfortable atmosphere for you to explore the dresses and find ‘the one’. We do operate the boutique on an appointment basis, but feel free to give us a call on the day and we will happily accommodate you whenever possible. First viewing appointments are usually an hour, and they are all about you! We don’t want anything to take away from you finding your perfect dress. If you are shopping for your lovely bridesmaids too we would always suggest a separate appointment, so that you can bring them all along and enjoy the time together. Our FAQs section has some great tips about your appointment with us. The entrance to our beautiful boutique is perfectly located just 50m from the main crossroads in St Albans city centre on London Road, next to Raine&Co estate agents. The Wedding Gallery sign is overhead and the black front door marks the entrance to our little oasis. 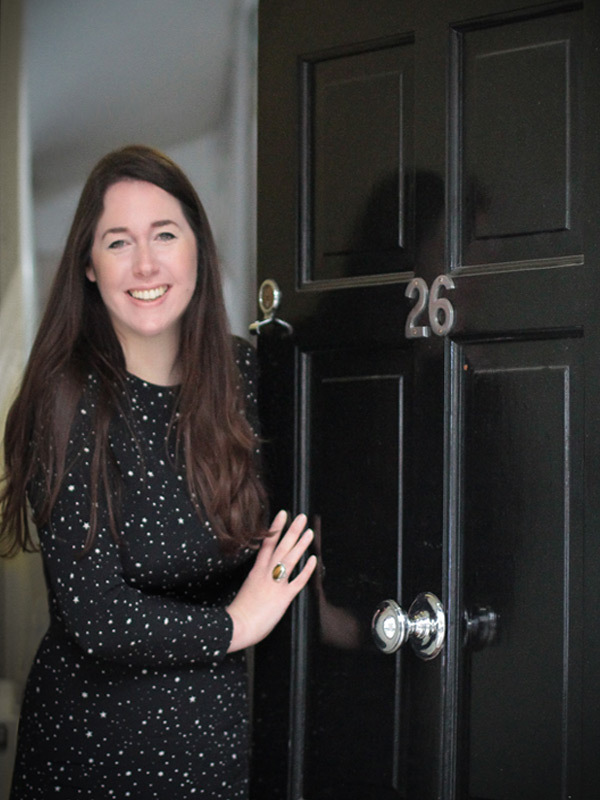 A press of the buzzer will allow you through the front door and into the boutique beyond! Parking is ample throughout St Albans, and most options are within 10 minutes walk. The closest is London Road car park which is just two minutes away, but we can’t guarantee spaces will be available during busy times. 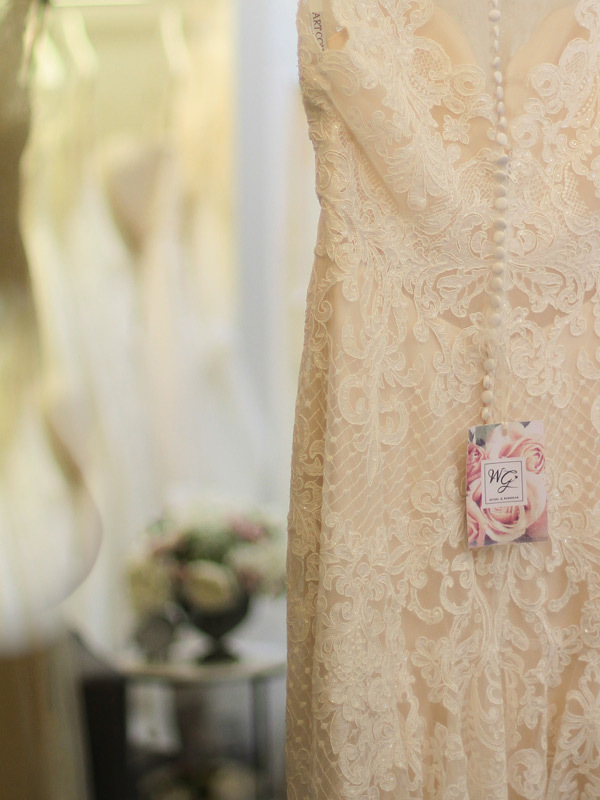 Whether it’s a question about our wedding dresses, booking an appointment, or just how to find us, please give us a call on 01727 833073 and we will be happy to help!